You know me, I am ‘Researcher Extra-ordinaire’ when to comes to finding eco-friendly and / or low-cost| free resources online for our creative projects. 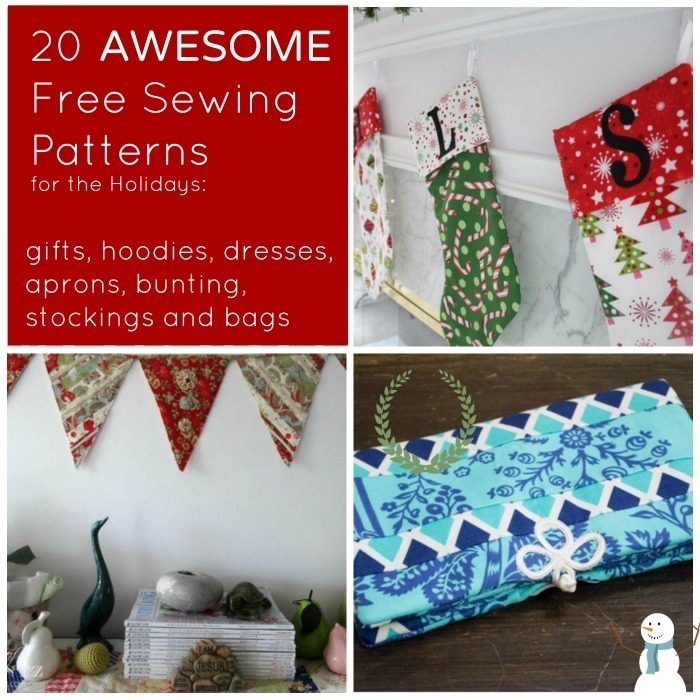 If you want to do a bit of sewing for the holidays, here are 20 very popular and really awesome free sewing patterns for the holidays, none of which I have shown before here at the FineCraftGuild. Some patterns make great gifts while others might result in your Christmas party outfit. Go figure. 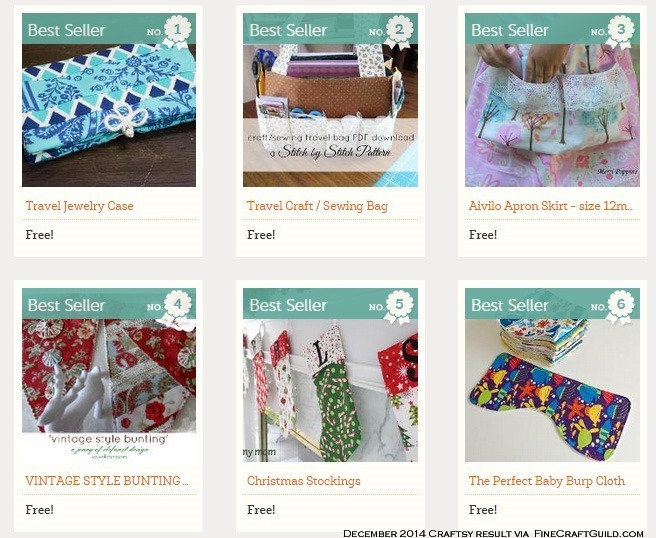 Have a look at these bags, dresses, hoodies, kids & baby items and holiday décor ideas. 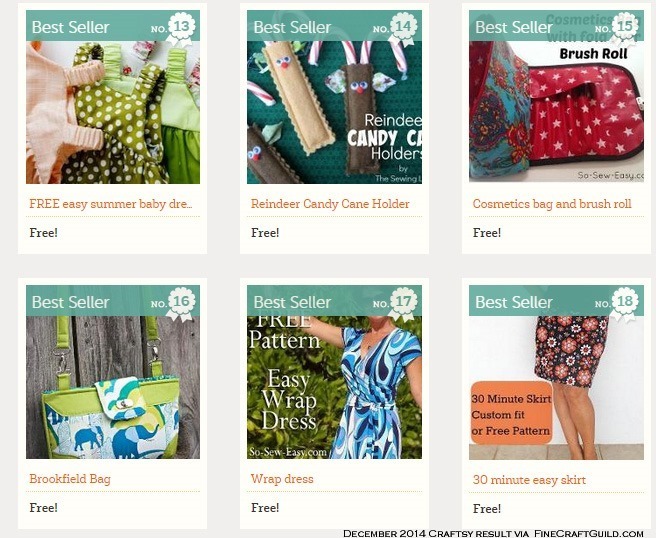 These free sewing patterns are beautiful. 1. Travel Jewelry Case – great for when you are travelling but also to put your summer jewelry away in winter, in a safe and stylish way. 3. Shark Pencil Case – fun for kids and shark lovers. 5. Reindeer Candy Cane Holder – 2 min sewing and crafting and you get yourself one of these. So adorable and unique way of giving candy for Christmas. 6. Cosmetic Bag and Brush Roll – this is what I need. All the make-up bags I own either are one or the other. This one will fit all my stuff. Amazing this is a free pattern, really. 8. Sweetheart Bag – what can I say, it’s a sweet bag, right?! 1. Cute Kids Apron with Romantic Lace Pockets 12m – 5T – good for kitchen help, good for pretend cooking, good for crafting and making a mess. Great idea to attach an apron to a skirt! Brilliant in fact. 2. Best Baby Burp Cloth – nuf said. 3. Hooded Cap – another great unisex pattern that will be so useful this winter. If your coat does not have a hoodie, this pattern solves the problem for you. When it is cold and wet outside, you’ll be glad that you’ve sewn a couple of these. 4. Mother & Daughter Apron Pattern – this pattern wins the prize for cuteness. Adorable. 6. 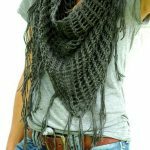 Free Wrap Dress Pattern – I own this dress and it’s fabulous. I have one for my mom too, as the pattern is timeless, really. Young and old can wear it. 7. 30 min Easy Skirt Sewing Pattern – a feminine classic! 8. 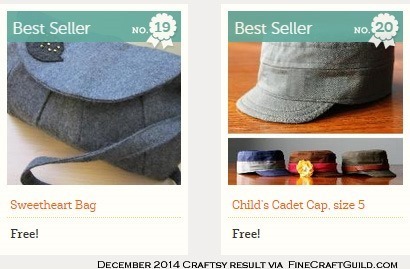 Cadet Cap Sewing Pattern – for kids, unisex. 1. Vintage Bunting – beautifully embellished. Hard to see in the photo, but the detailing ideas are really nice. 2. 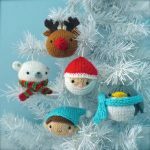 Christmas Stocking – we always could use another pattern. 3. 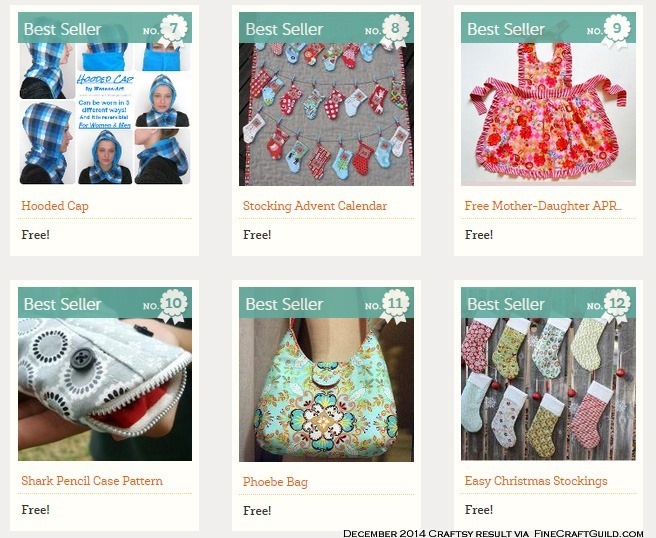 Adorable Stocking Advert Calendar – it’a a match! 4. 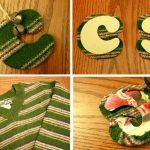 Easy Christmas Stocking – it’s another match. All image credit goes to the generous makers of these patterns. Follow the links for details. PS. I realize that today is quilting day… I felt you have probably enough projects on the go. I will give you 20 free quilting patterns for the holiday next week if you wish. Or tomorrow?? Let me know what you’re hoping for.